The developers behind the mobile game show HQ Trivia plan to release a new game based on Wheel of Fortune called HQ Words. HQ Words is the company’s second game show. The new show will feature similar branding and design, but have its own hosts and gameplay. HQ Trivia is the company’s original mobile game show. It tasks players with correctly answering eight to twelve questions in a row for a slice of a cash prize. The prize pool is split between everyone that answers the final question correctly. The grand prize for most games is between $2,500 to $5,000 USD. This October, HQ Words looks to expand on this formula with a fresh challenge. In the new app, players compete to uncover a hidden phrase using a single clue, like Wheel of Fortune. Players have a pool of letters to use, and it’s unclear if they select letters in turn, or if it’s a free for all. Players score points by selecting correct letters. Once the puzzle is solved, whoever has the most points wins. Players have three lives, so selecting three incorrect letters eliminates them from the game. 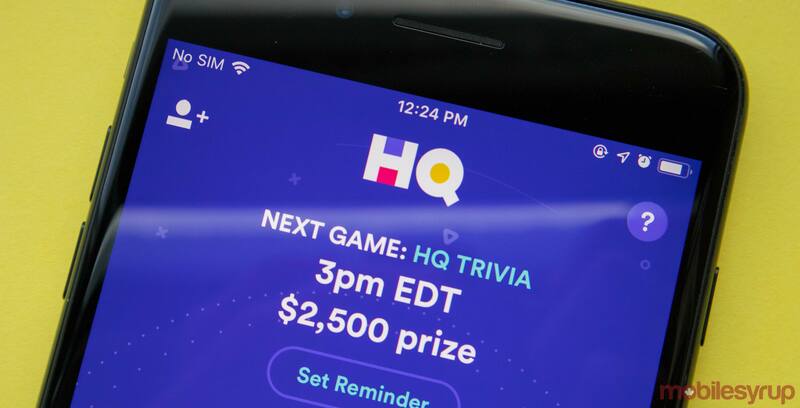 HQ CEO Colin Kroll and chief creative officer Rus Yusupov told Digiday that they’re expanding on the HQ family of games since HQ Trivia is finally stable. The game has been able to overcome an issue with cheaters and the glitches that took it offline a few times. HQ found a way to make money in March 2018 by signing deals with companies like Warner Bros and Miller Coors to sponsor shows. Since then, the company has brought in more than $10 million USD, according to Digiday. The game has a few other revenue streams like in-app purchases, but sponsored shows bring in the most money. Kroll and Yusupov also mentioned they’re currently casting for “new type of talent” with a different vibe to offset the quirky hosts of HQ Trivia.